Design matters. For example, the success of Apple Computer’s products is due not only to their technical capabilities, but also to their aesthetic design, which Apple has justifiably protected with a substantial portfolio of design patents. Recently, Apple’s iPhone design patents and other intellectual property were under scrutiny in comparison with the Samsung Galaxy family of phones. However, because of the strategy Apple utilized when filing these patents, their counsel at trial was able to obtain a jury award of over $1 billion, $980 million of which could be attributed to infringement of the design patents[i]. In this four part series, titled Strong Design Patents, we will look at Apple’s design patents to see how to build a strong design patent portfolio. In this first article, we will look at “The Power of The Broken Line,” then “The Power of Color”, followed by “The Power of the Portfolio”, and lastly, “The Power of Policing”. Design patents are deceptively simple. They are merely drawings or photographs of an object. They protect against someone else making a similar looking object. Infringement is determined by comparing the accused object against the figures in the patent. If the accused object is sufficiently similar to the figures so that a typical observer using normal care would confuse the two, then the accused object infringes the patent. 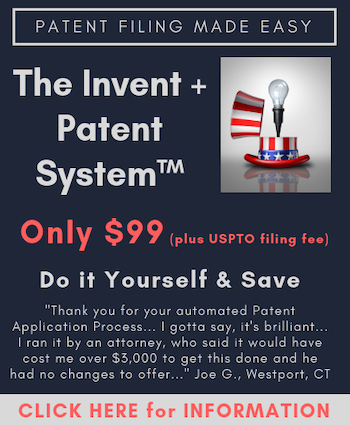 The damages for infringement are either the lost profits of the patent holder, a reasonable royalty the patent owner would have received for a license to the patent or all of the profits the infringer made by selling the infringing devices, whichever is greater. It doesn’t matter how much of the value of the accused object can be attributed to the design. If the accused object infringes, the patent owner is entitled to the full damages. Design patents can cover one or more of the shape, color, ornamentation or texture of an object. Design patents claiming a shape typically have line drawings showing various views of the shape. Solid lines in the drawings are the claimed features of the shape. Broken lines in the drawings show what the rest of the object might look like. To determine infringement, it’s only necessary to compare the solid lines. The broken lines don’t count. Ironically, this means that the fewer solid lines in a design patent, or conversely, the more broken lines in a design patent, the stronger the patent. This is illustrated below. Figure 1 compares Apple’s first design patent on the iPhone, USD 558,756, “Electronic Device” (the D‘756 patent) with a competing product Samsung brought to market, the Galaxy S 4G. The D‘756 patent is a typical design patent. Most of the shape of the phone is shown as solid lines. This includes the bezel, flat front face and rounded back. All of these features must be in an accused device in order for the accused device to infringe this patent. Some of the incidental features, such as the front button, are shown as broken lines. These are not critical to the design and are not claimed. The Galaxy S 4G has a similar bezel to the patent but a different back. Hence it does not infringe this patent[ii]. Both the back and the bezel must match the patent. The fact that the buttons on the Galaxy are different than the button in the patent is not relevant. The broken line button does not form part of the claim. If the D‘756 patent was the only design patent that Apple filed on the iPhone, then they would have been out of luck. It has too many solid lines and therefore is easy to get around. This patent needs more broken lines. Fortunately, Apple did not stop with this first design patent. They refiled the case while the first one was still pending and converted some of the solid lines to broken lines. This made for a broader patent. [iii] A case that is refiled like this is called either a “continuation” or a “divisional”. Figure 2 shows two of the figures from one of Apple’s refiled cases, USD 593,087, “Electronic Device” (the D‘087 patent). The D‘087 patent shows the same shape as the earlier D‘756 patent, but the back is shown as a broken line instead of as a solid line. Now the Galaxy S 4G infringes. It has the same bezel, or at least a confusingly similar bezel, as the patent. The fact that the back is different no longer matters. The observant reader will note that the screen in the D‘087 patent is shown as a solid line. Normally this would mean that the screen of the Galaxy S 4G would have to be compared with the claimed screen to determine infringement. Apple preempted this defense, however, by a technique called “alternative embodiments”. With alternative embodiments, the designer(s) show several different combinations of solid and broken lines for the same object in the patent. Each combination of solid and broken lines is an embodiment. The patent then covers only the features shown exclusively as solid lines for all the different embodiments. If a feature is shown as a broken line for any of the embodiments, it no longer counts. The D’087 Patent claims the ornamental design of an electronic device as shown in Figures 1-48. The broken lines in the D’087 Patent constitute unclaimed subject matter. Thus, the D’087 Patent claims the front face, a bezel encircling the front face of the patented design that extends from the front of the phone to its sides, and a flat contour of the front face, but does not claim the rest of the article of manufacture. See Final Jury Instructions: Apple vs. Samsung, Case5:11-cv-01846-LHK Document 1901, 8/21/12. The jury returned a verdict that the Galaxy S 4G and two other accused models infringed this patent. The total damages were $163,018,625. Not bad for a design patent. PREVIEW: Next week in “Strong Design Patents: The Power of Color” we will look at Apple’s design patent USD 604,305, “Graphical User Interface” (the D‘305 patent). Apple successfully asserted the D‘305 patent against 13 models of Samsung phones. The total jury award attributable to this design patent was $725 million. [i] $133 million of the jury award was due exclusively to the design patent infringement. The balance was due to combined design patent, utility patent and trade dress infringement. [ii] Or at least Apple did not attempt to assert that it infringed this patent. [iii] A word of caution: The USPTO indicated at the recent Design Day 2013 that it will be rejecting design patent amendments that broaden design claims by converting solid lines to broken lines. Their position is that the broadened designs were “disclosed by not described” in the initial filings. It would be prudent, therefore, for applicants to file the broadest designs (most dotted lines) they want protection on in their initial design patent filings. Mark, good article, I liked the illustrated examples. However, from my (limited) researches, I note that you probably need to make allowance for the current design patent infringement test used by the US courts, which rather than emphasising a detailed black-and-white assessment of “solid lines” prefers to use an “ordinary observer” which permits a verdict based on shades of grey. Hence why the US court were able to say that Samsung infringed and courts in other countries were able to say they didn’t – and both to be right! Good point. Each country makes it’s own determination. Do you have any more details on the foreign outcomes? That might make for an excellent follow-up article.